LockTrip Cuts World Hotel Prices — Confirmed! 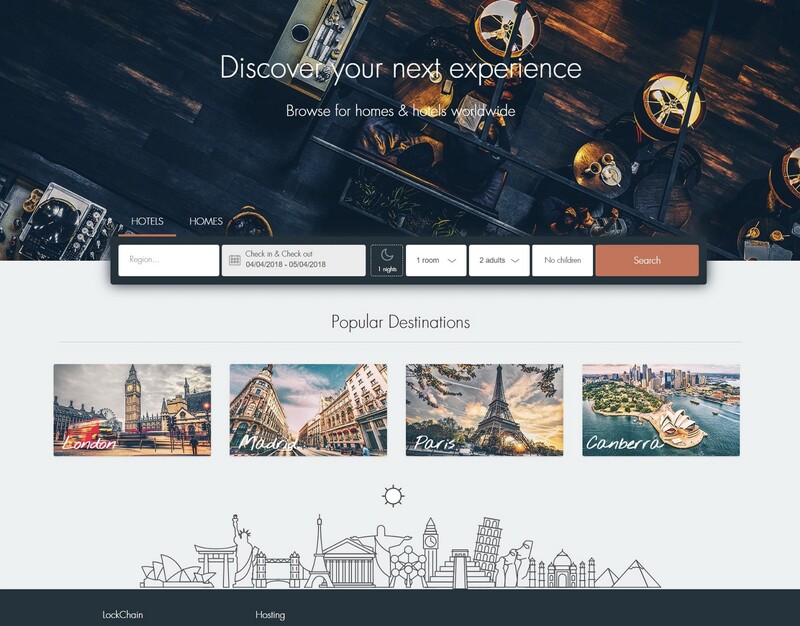 We, at LockTrip are the first one to put the accommodation industry on the blockchain in order to provide hotels and home rentals booking without intermediaries with the promise that this will cut the global hotels’ price with up to -20% by the end of 2018. Now that the alpha version of the marketplace has been launched with 100,000 hotels successfully integrated and available for booking, we conducted cross-comparative analysis in order to find out if our rates are as competitive as promised. LOC token — A token worth buying for the purpose of spending on travel — a concept that has been validated and goes beyond the established crypto standards. 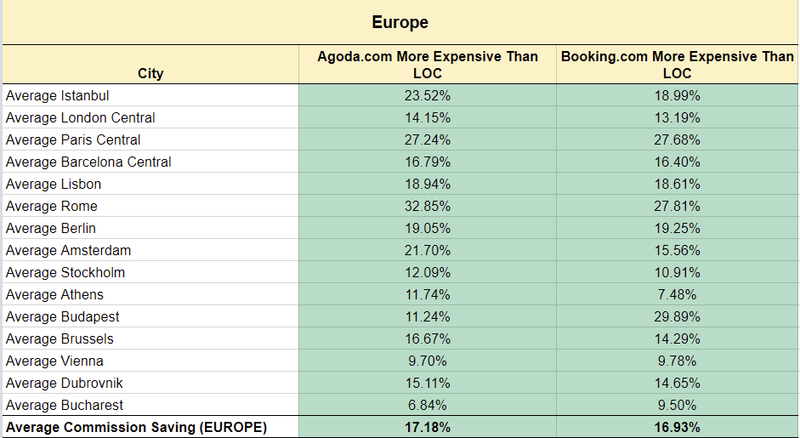 In an efficient spreadsheet we compared more than 800 hotels worldwide. They were divided into 3 groups (Asia, Europe and USA) of 15 top destinations each. 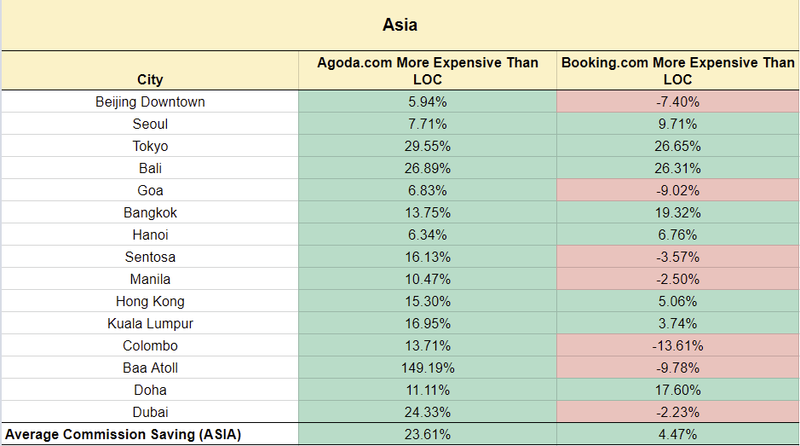 An equal number of 5, 4 and 3-star hotels per city were included. The hotel’s cheapest room available on Booking.com (Today’s price), was chosen as a reference in order to make the study as unbiased as possible. The LockTrip’s price of this identical room was afterwards compared against both Agoda.com and Booking.com. 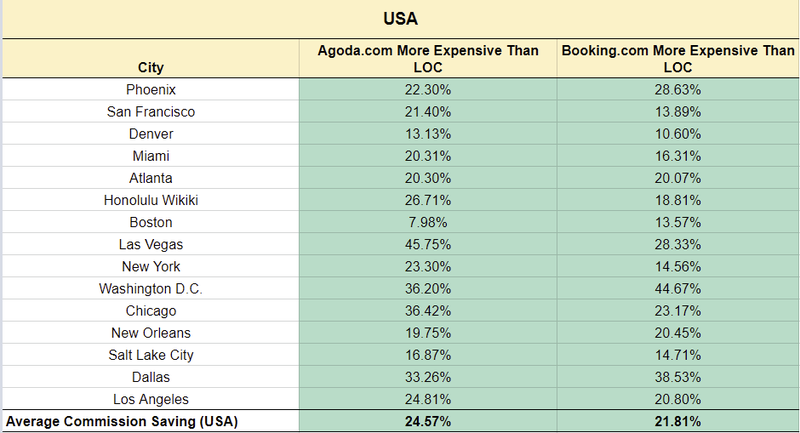 NOTE: The rates of the USA-based properties on LockTrip include the corresponding sales tax only and exclude additional surcharges like: Municipality fee, Property service charge, Tourism fee, Resort fee etc. Additionally, there is an average calculation per each city and, correspondingly, per the region studied. The analysis helped us verify that the promise has been delivered — we managed to significantly cut the retail accommodation prices throughout the world. The individual results have identified the GEO locations that we can improve as well as the ones which are far better than expected. The reason why some regions under-perform when compared to others is because of the distribution channels setup that we currently have as partnerships. This implies of a major opportunity to further improve the discounts for those regions, because we have a clear understanding of what kind of partners we need to “plug” into our current inventory supply in order to further improve our prices and make sure the performance of all regions is equally good. Or in other words, now that we know e.g. Beijing is underperforming when compared to the average savings in other locations, we can assume that our current suppliers are not particularly strong in that region. This is why we will specifically seek, assess and connect with partners that can provide us with inventory that is more competitive in pricing specifically for Beijing (and for any other cities that we need to improve). The findings of this research are actually far more significant than most people would realize, since our current model validates the possibility to reach average discounts in excess of 20% as long as we can structure the proper partnership with the right distribution channels. This on its own will be an on-going process, where we will constantly seek, compare and connect with better suppliers to further increase the value of our accommodation pricing. 2. There are extreme discount deviations. There are locations with isolated cases of heavily discounted properties and others available on the lower deviation of the discount scale, with prices closer to the one of the OTAs. The reasons for such deviations can be numerous. However, whether a guest will save €4 or €70 per night is entirely a matter of careful and patient research of our inventory. So, the users shall not expect to find their accommodation on LockTrip at a fixed 20% lower rate than the traditional OTAs as this value is the average we are trying to achieve. Here is the detailed view of the analysis. Have a look and let’s discuss it in our official Telegram channel. The entire team and founder will welcome and address all your questions.